Splash Park with 0 depth water retention, 17 water features. 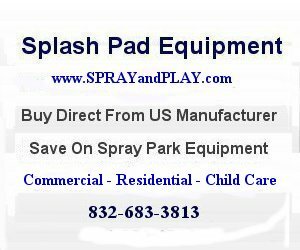 This park has an indoor swimming pool with aerobic workout facility and the newly constructed Splash Park. 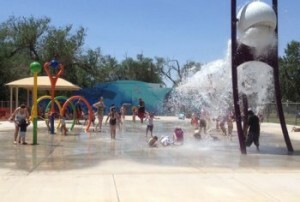 This entry was posted in New Mexico and tagged Clovis, New Mexico, splash pad, splash park, sprayandplay, water vortex. Bookmark the permalink.